There are a lot of good things you can do with the MIDI IN and OUT ports, both in the studio and on stage. I’ll try to cover a little about that from my personal experience and tell you how you can use it to make some really cool music. MIDI data is transferred from keyboard to other MIDI devices and vice versa through MIDI cables. You would need one or two of these cables depending on the kind of configuration that you would be using. Usually one is enough for most common tasks. Shown in the image is the rear panel of my Keyboard. On the left are the two MIDI ports on my keyboard and this can be connected to either your Audio Interface, Sound Module or any MIDI operable machine which would have the same two ports of just the IN port alone. Please note that the OUT of one device is connected to the IN of the other device and vice versa. A sound module is a device that contains all the sounds that you would commonly find in a keyboard in a small box which can be used with a MIDI enabled keyboard. So your keyboard does not need to have a lot of sounds. Just needs to have MIDI and you can add many sound modules as Racks for performance or in the studio. It’s a box of all the cool sounds in a keyboard but with out the keys. The basic configuration is connecting the OUT of the keyboard to the IN port of a Sound Module or Audio Interface. What happens here is that the MIDI data from your keyboard is now fed to the Sound Module and based on these notes, audio is sent from the sound module to the speaker or line connected to it. In the case of an Audio Interface connected to your DAW, this MIDI data is routed to your DAW, where it uses a VST in the DAW to convert MIDI data to audio. Yes of course, your DAW doesn’t work like a sound module, it saves the MIDI data and produces audio dynamically at the moment or when the track is played. So this seems like you can do everything with this one way connection from the OUT of the Keyboard to the IN of the Audio Interface. What is the use of the connecting it the other way round, i.e. from the OUT of the Audio Interface to the IN of your Keyboard? That’s for the next post. Modern day music production has reduced the cost of music production by a huge margin. None of this would have been possible if it wasn’t for MIDI and VST. House, Techno or any sort of Electronic music contains almost no real audio recordings at all. So lets understand MIDI and VST shall we. MIDI stands for Musical Instrument Digital Interface. What MIDI is a set of musical parameters that are transferred via a Keyboard to your DAW or a Sound Module. What are these parameters? Usually, its a set of ON/OFF, Note, Velocity parameters and Foot Switch info. There are much more but lets stick to these common things for a start. Lets imagine a scenario where a key has been pressed in the keyboard. The ON parameter tells the device the keyboard is connected to that there has now been a key press. The Note parameter tells the device that the a particular note like for example a C3 or a D#3 has been pressed in the keyboard. The Velocity parameter tells the device that the particular key has been hit with such and such velocity, which ranges from values 0 to 120. The OFF parameters tells the device that the key that was pressed, has now been released. The Foot Switch info tells when the Foot Switch in the Keyboard was pressed and when it was released. The velocity parameter can be really useful if you are using these midi notes to play a dynamic instrument such as the Piano in which the velocity at which the key is hit is really important. For more info contact Wikipedia. I do not want to give redundant info here. VST stands for Virtual Studio Technology. What this means is that you get the ability to do somethings that you would traditionally do in a studio through hardware, inside a computer now, and totally virtually. Be it an effect or a complete instrument, a VST can simulate it through Digital Signal Processing Algorithms and Samples. There are basically two types of VSTs. Plug-ins and Instruments. Plug-ins include effects like Reverbs, Delays and Choruses and Instruments include, well, Instruments. Almost all of them. Almost every instrument is now available as a Virtual Instrument. So what this can mean to you is that you do not have to buy these physical instruments at a higher cost but rather buy the VST which is a software package at a lower price and install them on your pc and sync it with your DAW. The disadvantage is that, it is not as real as a recorded version of the real instrument. More on that later. A Virtual instrument is normally two kinds. One is built purely out of algorithms and the other one is built with samples. If you consider a piano, sometime a software algorithm or model is designed such a way that it produces the sound of a piano when inputs are given to it. These Virtual Instruments are pretty lightweight. Example: The instruments in Ableton live such as the Acoustic Piano and the Electric Pianos. 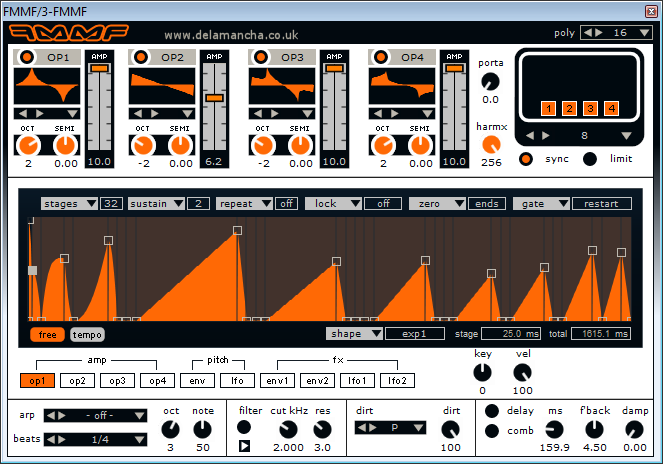 On the other hand there is another set of Virtual instruments that are created based on Sampling. Each note on a piano is sampled/recorded at different velocities for example and they are made into a virtual instrument after some software polishing if you will. This kind consumes a lot of disk space. But of course they tend to be more realistic. But sometimes, there is not much of a difference, which says how good our DSP Engineers are getting. Virtual Instruments work with MIDI and in turn can make your music production real easy. The MIDI notes can now be sent to your VST and in turn an instrument can be played based on those MIDI notes and Audio Signal can be received from it. Comment, Like, Share. Drop me an email at johananj@yahoo.com if you need some specific help. But it is advised you comment.